Here at Crane Garden Buildings, there is nothing we love more than to see our beautiful buildings come to life after installation. 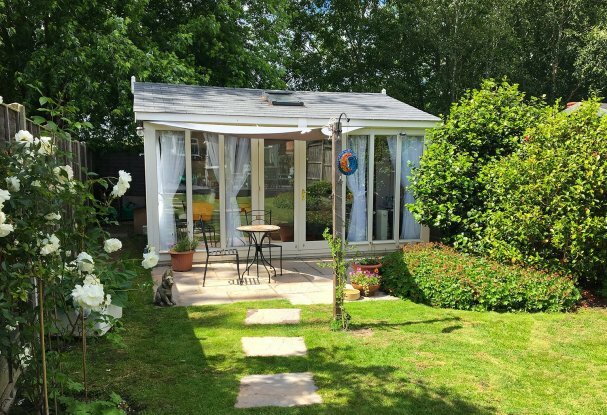 Our fabulous customers have ingenious ways of maximizing the potential of their chosen product, and this Burnham Studio in Guildford is no exception. 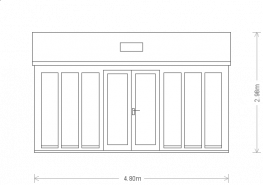 Our customer, an experienced hairdresser with a passion for her trade opted for our classical and contemporary Burnham studio with visions of it being a stylish salon that would allow her to work from home with ease. 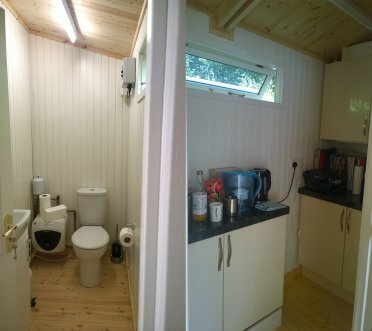 She opted for the 4.8 x 4.8m size and chose to add partitions to the design to add herself a toilet and small kitchen area after installation. While Crane don’t offer plumbing services with any of our buildings, we can happily design your building based around what you wish to later add, i.e a partition wall for a bathroom. 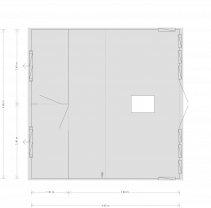 The partition requirements were discussed and happily met by our CAD team who drew up the manufacturing plans and got the ball rolling on our customer’s dream building. With any of our buildings, careful consideration and discussion is had over exactly what features are needed. There are several features on the Burnham which come as standard, including full insulation, and lining in the walls and ceiling, double glazing, a vast range of exterior paint colours and a fanlight window along the rear wall. Our customer in this case chose to add an electric pack, painted interior lining, a Velux® window and four additional double sockets. 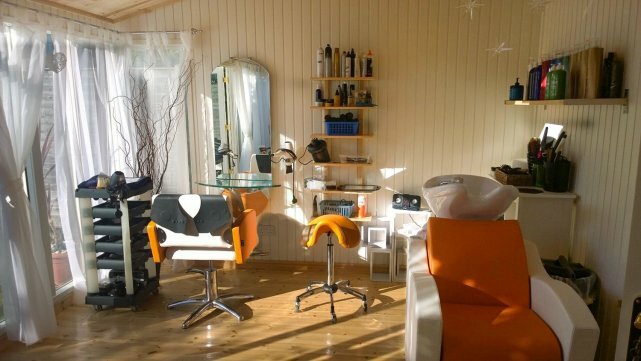 All these features ensure year-round use, an abundance of natural light, and the usage of a variety of electrical appliances, which is essential in a hair salon. 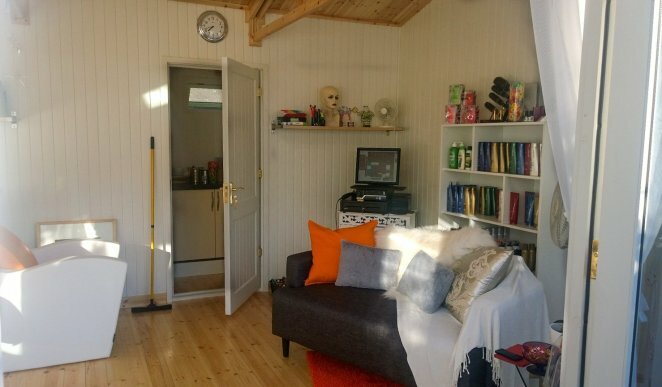 As you can see, our customer has made the best possible use of her space in the studio and even has a sitting area to keep any waiting clients comfortable. The Velux® window also adds useful natural light when the customer is with a client, giving a valuable insight into just how much of a difference the little things make when designing your building! Other features such as her shelving and storing solutions as well as the light and airy curtains really display just how much difference small additions can make in the process of personalizing your building. If you have ideas of how you can turn a garden building into your work-from-home wonderland, then why not visit your local show centre, where you can browse our buildings on display and discuss your requirements with our friendly experts. Alternatively, you can browse the entire collection online or get in touch to speak to someone over the telephone.